Wolf Alice delivers a combination of atmospheric guitar pieces, soothing vocal melodies, and underlying psychedelic influences from tracks like ‘Bros’, ‘Your Loves Whore’, and ‘Heavenly Creatures’. 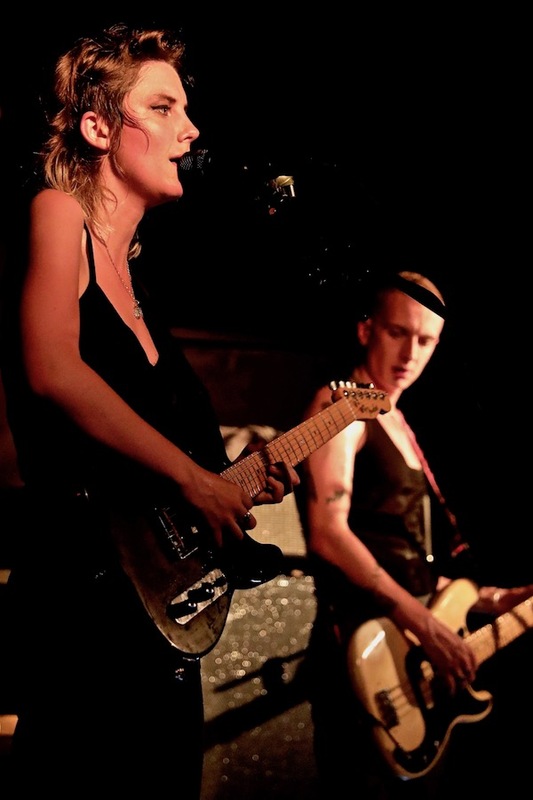 However, Wolf Alice has more to offer than just your usual run-of the mill radio-friendly music. Tracks such as ‘Giant Peach’, ‘You’re a Germ’, and one of their latest, ‘Yuk Foo’ deliver ferociously energetic drums, addictive vocal melodies, and heavy guitar riffs that complement each song perfectly. Tonight they were playing the Tonbridge Wells Forum. It’s a small venue, but when you combine a small venue with a high-energy band and 250 music lovers, you can imagine what kind of atmosphere can be achieved here. Many big acts have blessed this stage including Adele, Green Day, Mumford & Sons, and Oasis; and each has delivered an intimate and surreal rendition of their repertoire for the lucky handful of people that were there, a performance that couldn’t possibly be replicated at the bigger venues or festivals. The opening act was a punk three piece called Lady Bird. They were loud and reminiscent of old-school British punk, sounding like a combination of The Streets and Slaves. Although they delivered a small set, they raised the energy in the room, interacted with the crowd and paved the way for the main act. 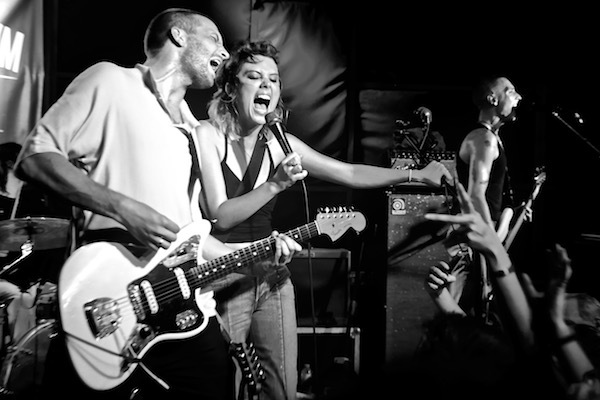 You wouldn’t have needed to see the stage to know that Wolf Alice had stepped out; the crowd made sure that everyone within a mile radius was aware. The band grabbed their instruments and kicked off the set with their newest single ‘Don’t Delete the Kisses’. Seamlessly transitioning between tracks, each song captured the audience with energy and enthusiasm that engaged the audience from start to finish. Even a brief slip-up during the intro to ‘Blush’ didn’t stop lead singer Ellie Rowsell from delivering hauntingly beautiful vocals and demonstrating her excellent range, hitting both high notes and powerful screams with minimal difficulty, whilst Joel Amey energised fans with his hypnotising yet aggressive drumming style, supporting Rowsell with excellent backing vocals. Joff Oddie’s guitar riffs were mesmerising and well-written, hanging to replicate the studio recordings' vast array of delays and effects perfectly, and (when in tune), Theo Ellis' bass was the underlying driving force, combined with his incredible stage presence and more punk-driven backing vocals. Although excellent in the studio, Wolf Alice left the crowd hungering for more with their live performance, encoring with ‘Giant Peach’; a perfect end to their set. It was loud, furious and an absolute head banger that left the audience (and the band) dripping in sweat. For all of those that were hoping for a mastered combination of indie, grunge and pop to create a unique crafted sound, Wolf Alice did not disappoint.